« Episode 125: Open letter to Verizon – Here’s what you must do to get my iPhone business. It’s the talk of the town: iPad. Tablets. eReaders. The future of publishing. Let’s see what the headlines are saying. As an employee of one of the world’s largest publishers, Conde Nast, the owner of an iPad, a soon-to-be author assessing my options for digital publishing, and a lover of all things new media, I’ve become obsessed with the eReader evolution. I’m going to share a little routine with you. Whenever I come across a great article, be it in a newsletter, my daily reading of blogs, through friends, or on Twitter, I hang on to it. Very simple. I have a Google Doc spreadsheet bookmarked that I can access instantly from work, from home, or for that matter, anywhere I can get to the internet. It’s a very fast process of opening it up, then pasting in the headline and the link. Done. It would be a waste if I read the article once and never went back to it. But I have a lot going on these days. Since this evolution is so new, and changes constantly, I find myself going back to these stats quite often. I use them for work presentations, a class that I’m teaching, the mastermind meetup group that I run, research for my book project, content to tweet or share on Facebook, and hey, as a podcast topic for you, my listeners. 8 crucial iPad articles – from 8 different sources – and why they are important. – $20 BILLION just seems like a ridiculous number, right? It’s tough to wrap your head around that figure. – Profits were $4.31 billion, up from $2.53 billion a year ago quarter. How did that conversation go with accounting? Up almost 2 BILLION? I’d say pretty well. – Is Apple on their way to becoming largest company in the world? In this article, finance guys are speculating on the next iteration of the iPad. They say it will have a 9.7 inch display, may be thinner and lighter, with a built-in camera and mini USB port, and come out in June 2011. June 2011!! OF COURSE a new one will be out by then. Of course it will be thinner and lighter. Doesn’t nearly ALL computer technology get thinner and lighter with each iteration? And June 2011? Other rumors have said this holiday season. Or in Q1. 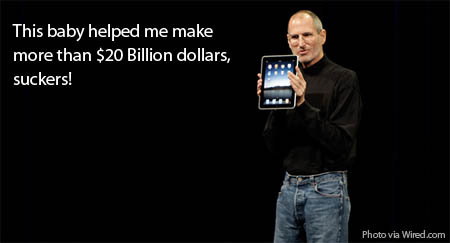 They then go on to speculate about a 7″ iPad, something that Steve Jobs put to rest during the October earnings call. So you have to ask… do you believe finance guys, or tech geeks at sites like Macrumors or TUAW or Cult of Mac. That’s easy: Nerds! This article just emphasizes just how quickly the iPad is being brought into the mainstream. It took five years for the DVD to reach the unit sales pace that the iPad reached in just its first quarter. As the article notes, the iPad had the advantage of being the extension of Apple’s ever-expanding ecosystem of iPhones, iPod touches and Macs that are marked by ease of use and a familiar style. Analysis found that not only are the iPads cannibalizing the netbook/notebook category in stores, but could also be hurting sales of TVs and digital cameras. I agree with this. If Johnny or Suzie (or their parents) are putting an iPad on the list, and that’s taking up $600 from the holiday budget, there’s not a lot left over in this still-recovering recession. I feel that most people already have a decent flatpanel TV, digital cameras are so good now that even ones from 3-4 years ago work fine, and because computer speed is now based on the internet vs processor, you can get by on a 3 year old computer as well. As an aside, the least shocking news I’ve seen is that 3D TV adoption has been slow with consumers. Really? Who couldn’t have seen that? We already have AMAZING TVs on our wall… 3D glasses and technology still seem like a gimmick to me. But the iPad is NEW. And it will continue to sell. – Consumers who own tablets and other e-readers generally spend 50% more time reading magazines (presumably on those devices) than consumers who do not own those devices. (Um, that’s a poorly worded survey result if I’ve ever seen one). – More than 80% of tablet and e-reader owners indicted that they are comfortable using digital payment systems that debit accounts automatically for subscriptions to content. (This is good for publishers, and mimics the feedback we are getting at Conde Nast). – 73% maintain that the content they purchase once should be available to them for reading across multiple devices. (I think this makes sense for some apps, but not others. As iPad apps get more interactive and custom-made just for that platform, users won’t want to see it on a phone or laptop). Sports Illustrated announced a unique offering that caught my eye recently. 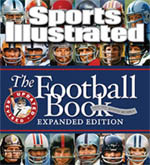 They are selling their “Football Book” for $29.95 hardcover, and $7.99 for an iPad eBook version. The eBook doesn’t pack any crazy functionality… no video, no rotating holograms, no multi-swipe gestures, just some audio by the photographer explaining some of the shots in a few places. What it does have is just plenty of good stories — 35 in all — and bold, vibrant photos. I totally agree and as a sports fan, I really enjoyed sitting back for more than an hour and engaging in the content. I predict we’ll see more of this. Despite the fact that The 4-Hour Workweek is one of the top-10 most highlighted Kindle books of all time, was the #1 business book when the Kindle first shipped, and is currently around #116 in the Kindle store, in his last royalty statement (December 2009) digital book sales (all formats, including Kindle) totaledâ€¦. ready?â€¦ a mere 1.6% of total units sold. The reasons I’m such a fan is that he poses the question, then goes on to give his advice both in text, and then in a video interview. Listen, with The Hopkinson Report, I pick a topic and talk and write about it every week. I know that some weeks — probably most weeks — the topics are just “eh” for people. Don’t get me wrong, I hope to entertain and inform each and every time I post. I hope you look forward to it every Wednesday. But what I really hope, is that I catch someone looking for a specific piece of information, and give it to them at the exact moment that they are looking for it. For me right now, I’m heavily researching the “self publish vs traditional publisher” model, so this video was the spot-on topic I was looking for. I’m not saying they have the definitive answer, but don’t you love it when the internet delivers with valuable content? This article really caught me by surprise, and when I thought about it, it was somewhat shocking because not a lot of people are talking about it. This could really shake things up and rock a publisher’s world. Like me, the author says he is inexperienced with torrents. Sure, I know what they are, could figure it out in 10 minutes, but I’m not the type to be downloading a 3 1/2 hour bootleg copy of Benjamin Button while I sleep to save $4.99. However, in 60 seconds, the author was able to find the book he wanted in ePub format, as well as other bestsellers. 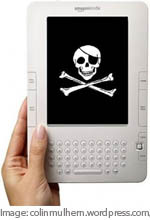 He predicts eBook prices will be forced down, margins will be cut, and consolidation will occur. Where have we heard this before? That’s right, music. When’s the last time you bought a CD for $17.99? Exactly. It happened with music. It happened with video. Are books next? This entry was posted on Wednesday, October 20th, 2010 at 11:36 pm and is filed under Apple, Pop Culture / Entertainment, Social Networking / New Media. You can follow any responses to this entry through the RSS 2.0 feed. Both comments and pings are currently closed.